Great deals abound in every city in the country. They’re as close as the county courthouse or a good real estate agent. These deals are coming through foreclosures. 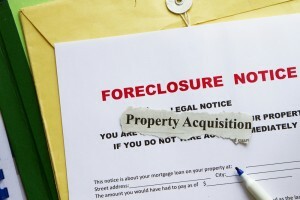 As a homeowner, you want to avoid foreclosure. But as an investor, foreclosed homes are opportunities for you to make a profit while helping an owner out of a tough situation. In these cases, the house is a burden that an owner just wants to get rid of. Homes go into foreclosure when the owners can’t make their mortgage payments. There are many reasons why owners can’t make their payments. Often, it’s through a personal misfortune such as a death in the family, a medical emergency, the breakup of a long-term relationship or a natural disaster. Not every foreclosed house makes for a good deal. Before you start putting in offers, you need to understand the process of foreclosures. The specifics vary from state to state. For a detailed breakdown by state, click here. In general, property owners who are late in their payments receive a notice that they have defaulted. That process usually takes several months, but begins with a missed mortgage payment. Most mortgage companies are willing to work with cash-strapped homeowners because they would rather not have the expense of foreclosing on a property. If the process continues, a property owner who is late in their payments receives a notice that the have defaulted. At this point, the house is in what’s called pre-foreclosure. From there, a property goes to an auction. If it doesn’t sell, then the bank or other lender owns it. Although an auction may seem like a perfect time to buy a house at a great price, you may want to think twice about buying one of these seemingly hidden gems. It may have other liens or maintenance issues and some auctions won’t let prospective buyers examine the home. That’s a huge risk, especially for those just starting out. Instead, look for real estate owned properties (also known as REOs). When you purchase a REO, you will deal directly with the bank. The bank has no emotional attachment to the home; their main concern is to get the house sold. When dealing with a bank, you may be able to get the bank to waive any outstanding taxes and you also have the option for a home inspection. That way, you know exactly what you’re getting yourself into. Pre-foreclosures are also a great time to buy. These deals are still owned by the homeowners and may sometimes be easier to deal with than the bank. You’re helping someone out of a sticky situation, but you’re also getting a great deal. The foreclosure process offers lots of opportunities for great deals but also plenty of opportunities for unnecessary hassle and expense. Learn how to navigate the foreclosure process and you’ll be on your way to becoming a house flipping master.